Look stunning and classy in this georgette indian saree online from the house of Grab and Pack indian saree sale. designer indian Saree is an outfit which describes the essence of a woman when it comes to adorning an ethnic outfit for a Any Special occasion. This georgette party wear saree is made from Georgette. 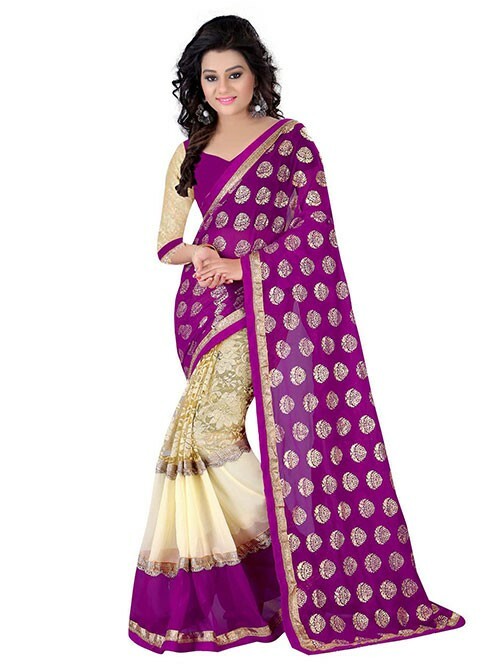 The saree has a length of 5.5 meters and comes along with a blouse piece of 0.80 meters. It has beautiful Golden Lace borders. Buy This Georgette Designer sarees online today.